Blood drop on hand image via www.shutterstock.com. Let’s leave the technical issues aside for a moment and focus on those drops of blood from a fingertip. To understand why that matters, let’s start with some simple physiology. The human body can be considered a series of compartments; the concentration of any given molecule in blood or tissue fluid may vary from one compartment to the next. A small molecule, such as glucose, can move easily between these compartments, and any bodily fluid can generally be used to test its concentration. This is why testing blood sugar with a finger prick works. But large, medically important molecules like proteins and lipids are not always found in uniform concentrations throughout the body. The composition of blood from finger pricks from the same person can vary, a problem that doesn’t happen in blood taken from a vein. When you lance a fingertip, you get both blood and tissue fluid, and this means that the concentration of molecules may be different than if the blood sample comes from a vein. The point is that blood taken from a finger would be considered another bodily fluid by the FDA, and any tests using finger prick blood would need to cleared by the FDA. According to news reports, at one time Theranos was seeking FDA clearances for as many as 120 tests. Even if its technology actually works, hundreds of FDA clearances would have required hundreds of clinical trials, a process that would have taken years to complete. Theranos has gotten only one test cleared by the FDA. That test – for Herpes infection – is for the detection of antibodies, not a measurement of their concentration. Tests for the presence or absence of a molecule are much simpler than those that quantify its concentration. In March, researchers at the Mount Sinai School of Medicine published a secret shopper study comparing Theranos to Quest and LabCorp, two major medical testing companies. Overall, more of the results from Theranos were outside the normal range, indicating a need for further medical testing. This is a worrisome result because the secret shoppers were healthy adults. But it’s also difficult to interpret because we don’t know if Theranos used its Edison machines or ran diluted samples on conventional analyzers. Millions invested without any proof? 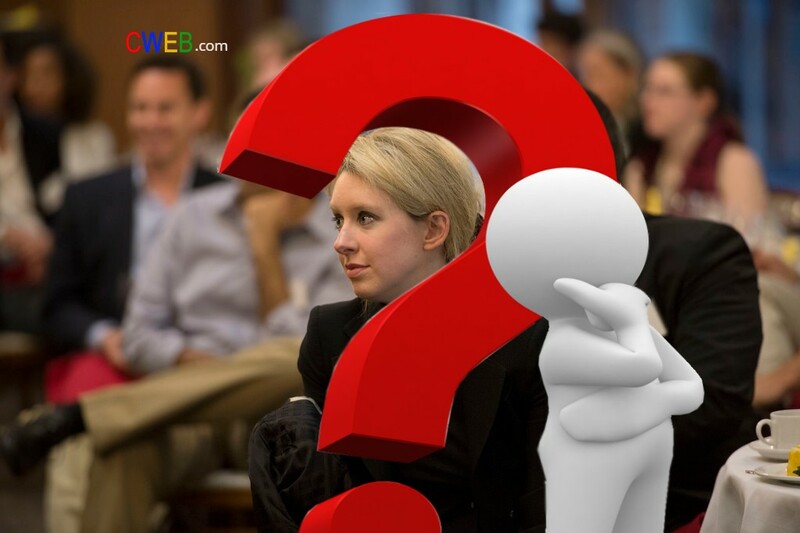 Why didn’t investors and journalists dig more deeply, such as by demanding a head-to-head comparison of Theranos’ Edison machine to standard chemistry analyzers? Part of the problem seems to have been the secrecy surrounding these types of startups. Theranos always asserted that it had to operate in “stealth mode” to protect its lead in breakthrough technology, which means that there was literally no peer-reviewed information out there about its technology. But the leading explanation seems to be that they were enthralled by the company’s charismatic young founder. Laudatory magazine cover articles about Holmes have been so numerous that the phenomenon has itself been a topic of discussion. Theranos’ board of directors also lacked anyone with expertise in laboratory testing or medical diagnostics. This should have been a warning sign. Just a few weeks before regulators proposed banning Holmes and Theranos President Sunny Balwani from the blood-testing industry, the company tried to remedy this by bulking up its medical advisor board with well-qualified experts in chemistry, pathology and clinical chemistry.